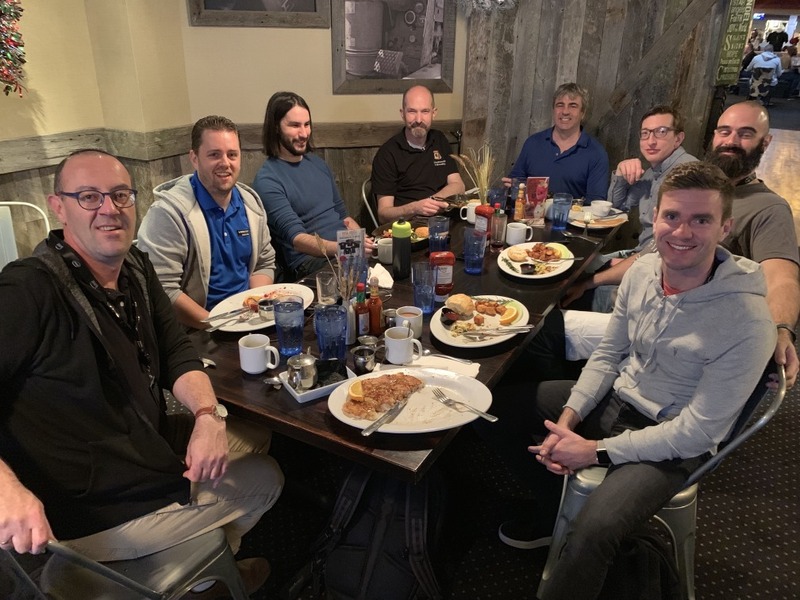 AWS apparently saw what the VMware community has to offer during VMworld and is looking to foster some more community of its own. VMware was apparently offered a great deal on a community booth at the Aria to bring AWS and VMware people together since they are now friends. 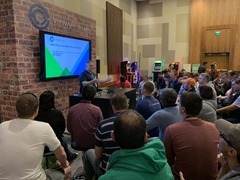 VMware still has its main booths in the Partner Area at the Venetian where it was showing how to migrate to VMware Cloud on AWS with a hybrid cloud story, RDS on VMware, Pivotal Kubernetes Service and another booth for Wavefront with its cloud analytics offering. 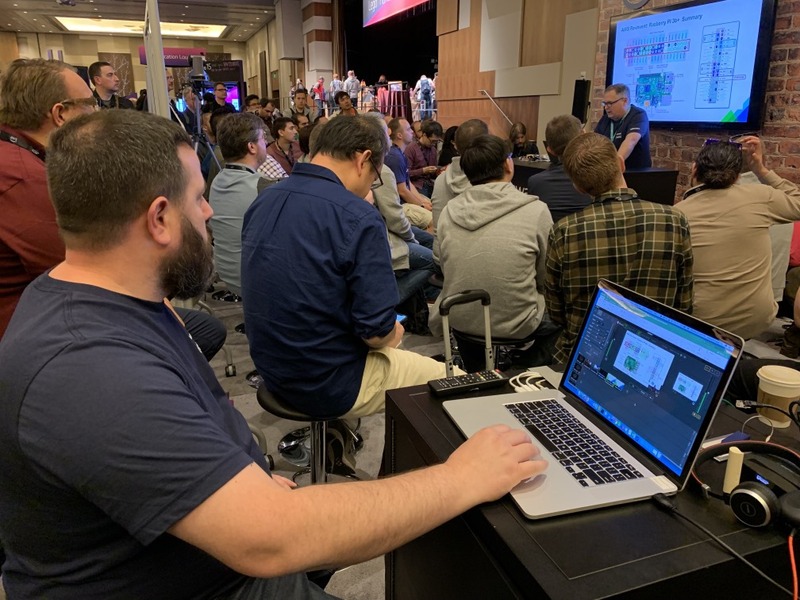 Using Alexa skills to build Kubernetes clusters – Keynote Style! 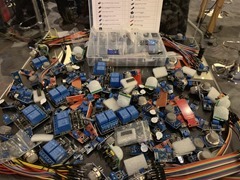 At the VMware booth in The Quad at the Aria, VMware is showing off a lot of IoT things, particularly a bunch of Raspberry Pi sensors. 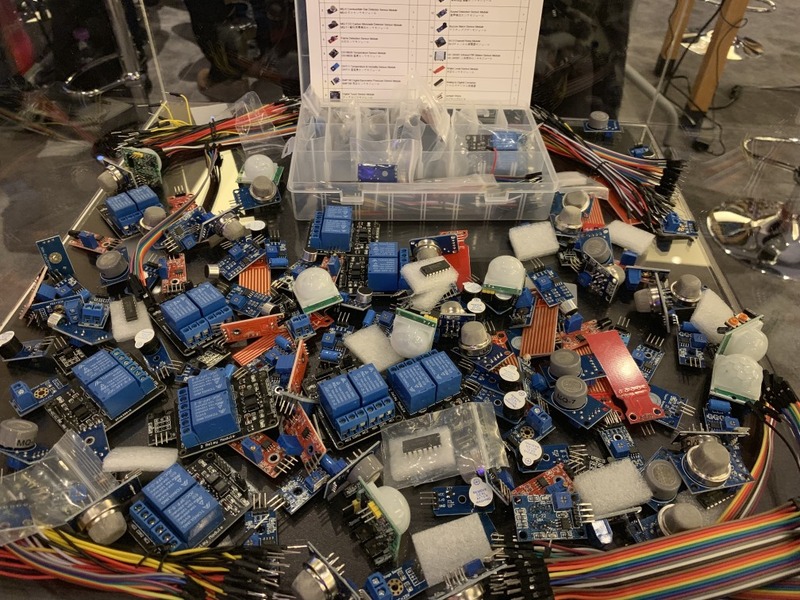 Eric Nielson, well known host of the VMware communities podcast was Master of the IoT Maker Space. 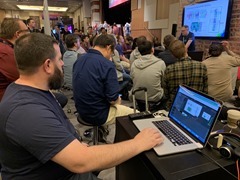 Eric showed how VMware handles IoT data, using sensors connected to a Raspbery Pi. The actual sensors are managed via the VMware cloud service product, Wavefront, and the data is gathered via the VMware Liota platform. VMware is making a big push into IoT. There have been more and more stories referencing IoT. European CTO, Joe Baguley, in his UKVMUG keynote a year ago devoted a fair amount of time to IoT. This makes sense. With the explosion of IoT which is mostly an on-prem installation, you need something to manage the devices and also a platform to run the collections on. VMware of course wants to be there which forms a new business to offset workloads heading to the public cloud. Every other platform company is also getting in on the IoT action. AWS itself has its Snowball Edge devices which are getting more and more functionality. Local CPU processing via Lambda or EC2 instances, now with recently added GPU support for ML at the edge. Greengrass is another AWS service which can run on vSphere on-prem. VMware had announced at VMworld they're looking at running ESXi on ARM processors. Eric also had a presentation and demo of ESXi n a Raspberry Pi. People may roll their eyes and think, how much processing can you do with a Pi, what's the point of ESXi on Pi? Well, its more to highlight the architecture of ARM, ESXi is being ported to run on ARM. ARM processors may form the compute engine for many devices, IoT being one of them and on devices much larger than a Pi. Think factory machines, medical imaging etc. Using a Pi shows VMware is serious about also shrinking ESXi for ARM on small devices as well. This hasn't been released yet, its just a demo, Eric had a private build installed which he kept a careful eye on and wasn't able to even distribute. vBrownBag, well known independent tech content provider, is also at the VMware booth at re:Invent. 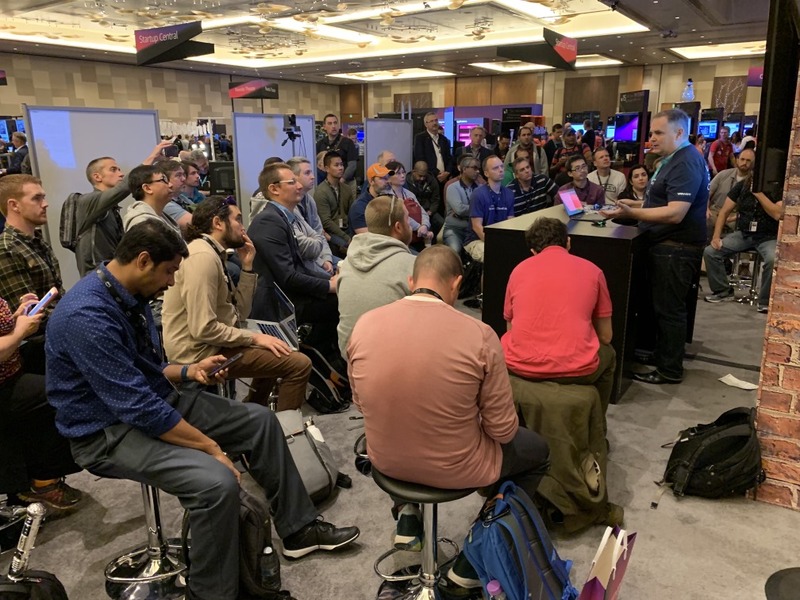 I think it would be a fantastic idea for AWS to offer an independent track where people could give presentations. The Maker Space is great but also having independent vBrownbag presentation area would be fantastic, There must be so much good content not curated by AWS that is dying to be heard. AWS this is a great way to get people to share all the incredible things they can do on your cloud. Monday 26th, 17:30 Maish Saidel-Keesing – Fail fast, fix fast, learn, WIN!